Anders Behring Breivik, the Norway terror attacker, may just have been a lone extremist; we should stop speculating, says Dr Robert Ford of Manchester University. The events in Norway over the past weekend have horrified and disgusted us all. Yet in the inevitable avalanche of commentary, most of it based on little or no factual evidence, we are already seeing the emergence of some familiar media tropes. The extremist cannot be a lone fanatic; he must be a representative of some broader social movement, which “tacitly” supports such behaviour even if they don’t act themselves; we must learn the lessons from this tragedy and expunge the broader threat from our society. There is no small irony in this, for this belief that madmen must always be representative of some broader social ill, is precisely the line of thinking frequently perpetrated by radical right politicians in their efforts to stigmatise millions of Muslims or migrants with the fanaticism or criminality of a tiny minority. Now those only too willing to employ fear and hatred find themselves to be its target. This may bring some benefits. The growing hostility of European citizens to their Muslim minorities, and the stoking of this hostility by fear-mongering politicians and journalists, has received too little critical scrutiny. It will do no harm to subject these agents of intolerance to closer examination. It will also do no harm to see the legitimacy of arguments made against whole religions or ethnic groups called into question. Yet too often our press and pundits are not engaging in careful reflection or critical analysis in the light of Norway’s tragedy. Instead, they are engaging in a frenzy of speculation about what motivated Anders Behring Breivik and what his actions mean. Hardly any of this speculation seems grounded in evidence. Let us take three of the most prominent claims. Really? If this is so, then we may wonder why the rise of internet blogs over the past decade or so has not triggered an epidemic of murderous gunmen. I know of no research that shows any evidence of a link between any form of internet blog consumption and violence. Perhaps Ed West knows better? What is the basis for his claim? Anders Breivik is being held up as an extreme example of a broader organised movement, which we should now apparently be worrying about a great deal. Nationalists pose a “bigger threat than al-Qaeda”, claims Robert Lambert of the European Muslim Research Centre at Exeter. Maybe this is so, but I haven’t seen anything demonstrating that Breivik was linked to a broader terrorist movement, and the cases Lambert cites in his blog post don’t seem to be either. I have seen no evidence put forward to demonstrate the existence of an organised far-right terror network, rather than a handful of crazed loners sharing certain paranoid delusions. If research has been done on this issue, and demonstrates the existence of such violent far right terror networks, then by all means it should be out in the public domain. In the absence of such research, I don’t see the value of scaring people with speculation. Previous lone gunmen turned out to be representative of nothing at all. Was Theodore Kaczynski representative of a broader American reaction against alienated modern societies, as his writings claimed? No. Was Timothy McVeigh firing the first shots in an armed insurrection against the US Federal government, as he hoped? No. And there have been plenty of massacres whose perpetrators have no obvious political beliefs at all, such as the Virginia Tech massacre in 2007 or Derrick Bird’s Cumbrian killing spree in 2010. We are also being told an extreme right ideology demonising Muslims and immigrants helped motivate Brevik. Is there any evidence to back up this claim? Bienkov doesn’t provide any. I know of no research showing massacres occur more frequently in countries with prominent extreme right movements than in countries without such movements, which is what we would expect if extremist ideology encourages murderous acts. In fact, one major piece of research on this area, by Dutch political scientist Ruud Koopmans – “Explaining the rise of racist and extreme right violence in Western Europe: Grievances or opportunities?”, European Journal of Political Research, 2006 – suggests the opposite is true. Perhaps someone has done more recent work demonstrating a link. If so, they should talk to the press. Otherwise, it seems just as likely Brevik sought an ideology which happened fit his existing murderous paranoia. Previous armed lunatics have always found some mad narrative of persecution, conspiracy and fear to justify their acts. We should not be too harsh on journalists’ search for culprits and context. The universal reaction to tragedy is to demand explanations for the horror, and ways to prevent it from happening again. There is little comfort in the idea that violent loners are found in all societies, and don’t seem to be driven by anything in particular. So it is natural for journalists to respond to the public demand for explanations, the need for tragedy to be placed into a broader context. Academics should take a different view. We are all under pressure to demonstrate the relevance of our own research, to engage with public debate and so forth, but we should not give in to the temptation to comment on things we know little about. I am a political scientist. What do I know about what motivates a madman, or what his actions mean? Very little. 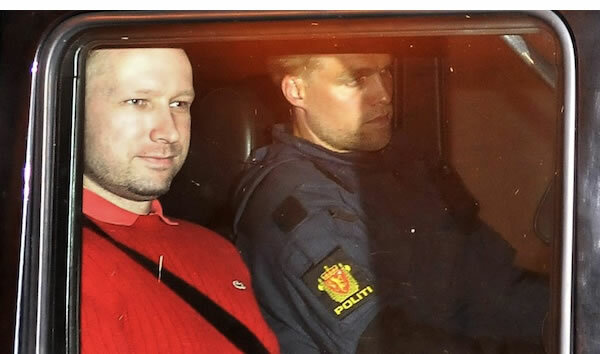 I can’t tell you if Anders Brevik’s beliefs about Muslims, or multiculturalism, or his past associations with the far right, or his obsessive reading and posting on internet blogs, played any role in driving his actions. I can’t tell you if this massacre is an isolated incident or part of a larger problem. I don’t know. Instead of offering speculations, or reinforcing those of journalists, I would like to put forward the very real possibility that murderous loners like Anders Brevik have no common background, no common cause, no organisation, and no common motivation. They represent nothing beyond themselves. This should be our working theory until we see, or research produces, compelling evidence to the contrary. Repugnant though many of their beliefs may be, it is no more defensible to hold the EDL or the BNP somehow responsible for the acts of Anders Brevik than it is for those organisations to hold Islam responsible for the acts of Osama Bin Laden or the 7/7 bombers. Finding someone to blame, and something to do, may be cathartic, but it is a substitute for thinking. Painful though it may be, we must admit that sometimes there is no one to blame but the madman, and no broader meaning to the tragedy he has committed. The right doesn't represent an 'organised terror network', therefore Breivik is meaningless http://goo.gl/TNjpd #huh? I admire the way that you readily admit that you don’t have all the answers and concede, simply, that there is not always an obvious one (or indeed any answer at all). Saying ‘I don’t know’ is preferable to pretending one does. People have been reading too much into the ravings and despicable actions of a nutter (or, in more politically correct parlance, a very bad man). He did a terrible thing and seeks to excuse it because he believes, deluded as he is, that he is fighting for a just cause. He shares this in common with countless dangerous criminals before him and doubtless he will not be the last. Society cannot legislate for rogue behaviour such as this. Sure, certain action can be taken: e.g. sustain an effective police force and judicial system, support intelligence agencies, restrict gun ownership etc. But there are limits. We cannot predict or prevent every atrocity. P.S Quoting views expressed at Liberal Conspiracy is probably a waste of time as intelligent/comprehensible contributions are few and far between. Judging by some of the bizarre rants posted there and the preponderance of illiberal comments, the latter part of the blog’s title is entirely appropriate while the former is decidedly not. This is probably the best article I have read so far. He may be a terrorist in that his aim appears on the evidence available so far to have been to provoke political crisis through violence. There is no clear evidence yet though that he is part of any wider organised terror effort. His recent claims of other “cells” will be checked. I suspect they may turn out to be part of his grandiosity – we’ll see. Very good item one of the most measured pieces on Left Foot Forward for a long time. A lot of the people who post articles here need to read this piece and take note. Any minute now the whole thing will be spoiled by the likes of matthew fox, Joe Kane, Leon Wolfson and that bunch of oddballs with their loony views but at least we can enjoy the piece in the interim. Of course, can’t have genuinely intelligent, left-wing posters around can we Mouse. You might have to face up to reality. You GOTTA take those cheap shots against your enemies. Typical thuggery. The basic point of this article is clearly a good one – too much speculation has taken place on the basis of too little information. Unfortunately, the latter half of this article actually falls into the same trap. In particular, you assume that he is a “madman”. However, apart from the fact he killed a lot of people in circumstances which most people would struggle to understand, there is no evidence for this belief. Indeed, if we are to look at the statistics related to mental health and murder (admittedly for the UK), we find that only a tiny minority are due tomental disorder – and this minority is shrinking. Rates of people who use ‘diminished responsibility’ as a defence for murder are much higher, but these statistics are not useful as they also include people with drug/alcohol addictions, extreme jealousy, perverted sexual desires, etc. Therefore, our working assumption should surely be that he was not mad – until we have evidence to point to the contrary (and not the non-medical opinion of his lawyer). Leon Wolfson – I know you see conspiracies everywhere you look Wolfster and indeed you claim you’ve been “ambushed” twice from behind the bushes by the BNP despite the fact you’re white – that’s a first. Twice. Being a man of peace I certainly do not have enemies and with the record of Damian McBride, Charlie Wheelan, Gordon Brown, Derek Draper and the rest of New Labour’s thugs (ask Peter Watt, Alistair Darling or David Kelly’s widow) I wouldn’t start casting stones from glass houses if I were you. It took you less than an hour to start your smearing postings and as for left wing intellect you haven’t displayed any so far. Just an incoherent bunch of ramblings and lies. What “secret mission” for the security services are you on today I wonder. Fighting the Taliban in the high street again Wolfy? Just for once, considering the serious nature of this item, do you think you might pause, take a breath and NOT post your usual vitriol. You set the cause of the Labour Party back with your nasty personality Leon Wolfson and they need all the help they can get at the moment. Innocent people have been killed by a madman and your response is a new low even from you…. George, you make a good point. I agree leaping to the conclusion of mental illness is precisely the kind of speculative reasoning I have been criticising. I should have used more measured language. Of course, we don’t know if Breivik is in this category and moreover, you are quite right than most mental illness does not lead to any kind of violent activity. YOU came in here and started listing your enemies names. Typical thuggery, as I said. And yes, keep denying the BNP is anti-semitic, thanks for the heads up on that aspect of your personality. Leon Wolfson – I have made no comment on the BNP. They are a nasty right wing bunch I know nothing about. What I do know is that you are just making up stories and you may wish to speak to the aforementioned holocaust denier, joe kane because he has actually called me a Zionist because of my support of the state of Israel. The fact is Leon Wolfson you have been accusing me of numerous “crimes” as you see them and none of your remarks is true. I have no enemies – I just don’t believe your nonsense about “screamers” and other drivel you keep making up. I just think that in light of the terrible issues this article addresses you may have tempered your dysfunctional personality for once and not started unnecessary threads…. This article is not very good at all. Of course he was political – he had a manifesto. There have been many examples of far right/fascist thugs being found with bomb making equipment in the past few years and decades. And some have succeeded in bombing, like Timothy McVeigh and David Copeland. The fact that Breivik was anti-muslim, called himself a “marxist hunter” and had links with the edl (however unofficial) and other fascist organisations kind of tells us that he has an ideology; one that led to him killing all of those people. So when the writer says “I can’t tell you if beliefs…..played any role in driving his actions.” he ignores the fact the Breivik actually told us HIMSELF. He had his methods, just as the likes of George Bush and Tony Blair had theirs. Utter Drivel. Sure, sure, keep claiming that. You also keep on naming “enemies” in normal BNP blogger practice. I haven’t accused you of any crimes. Being a BNP supporter isn’t a crime, just a mark of stupidity. And in light of this thread, you came in and started posted about your enemies. This is entirely on YOU. YOU can’t have discussion of your ideology’s excesses. You write: “we must admit that sometimes there is no one to blame but the madman, and no broader meaning to the tragedy he has committed”. It’s a pity then that the Shampoo Bombers, the Shoe Bomber, the Christmas Bombers, the Scottish Airport Bombers, the Train Bombers, The Underpants Bomber and the Ink Cartridge bomber – clearly all desperate, lone madmen – were not psycho- analysed separately, instead of being eagerly swept up by the media under the Big Muslim Terrorism Umbrella to serve America’s “War On (Muslim) Terror” trope. Also, where does the right wing American-on-American terrorism act of the Anthrax Mailing Attack (circa 2001) fit in? This deadly attack (military-grade anthrax spores mailed to senators dragging their heels on the Patriot Act) was immediately blamed on ‘AL Qaeda Terrorism’ rather than being seen as the work of lone (military) madmen. The FBI itself traced the anthrax back to a secure military laboratory at Fort Detrick. ie. deadly American terror directed against other Americans, blamed on Arabs and used to ramp up fear and war-mongering. How to classify that? Leon Wolfson – You continue to willingly lie and smear me. You are so well suited to the Gordon Brown incarnation of the Labour Party it looks like a fit made in heaven. How can I be accused of anti-semitism and being a Zionist in the same blog? Both positions cannot be true. Anymore than it is true your were “ambushed” by the BNP for being white (twice) or that comic book characters such as the Incredible Hulk are real. If you need me to post links to where you made both those claims please holler. I posted here this morning with positive comments about this article and it’s presentation and I also honestly commented that it would only be time before the nutters and the oddballs such as yourself would start your personal ranting and smearing. Again I have been proven to be correct in my assertions about you. Why I am responding to anyone who believes in fictional characters, carries “screamers” in his pocket to protect against attacks by the BNP because he’s white(!) – twice in an “ambush” I do not know. Mouse – Yes, of course you find it funny to joke about criminal assaults, it’s your level. As is your denial of the very real anti-semitism of the BNP, and your enemy’s list you posted in this thread. Keep holding up the right, you’re doing a FINE job of painting them with your colours. The lack of respect is your kind’s trademark, as is the repeated accusation that people are things which they’re not, so you can do your typical untrue, repeated, frothing accusations. The monsters you refer to certainly weren’t acting alone. Until it can be proved that Breivik acted with support from a network of terrorists, his case will rightly continue to be viewed differently from the Islamists who carried the terror plots you mentioned. Leon Wolfson – In view of the serious nature of this article and in respect of the victims here I refuse to engage in your stupidity and lies any longer. If you need me to dig through this fine blog’s archives and post the links to outline your previous nonsense about the Incredible Hulk and stupid “ambushes” for being white (twice) you’ll have to request them in another post I’m afraid. Yes Mouse, you’re a lowlife who finds physical assaults funny. I get it. You also came here and named your enemies. IF you hadn’t done so, I’d of been happy to ignore your BNP-hugging backside. You have no respect for anything or anyone. Nobody can make a joke or use sarcasm around you without you showing you bitterness and hatred, right. Entirely typical. Leon Wolfson – I hate to break this to you fella but I don’t believe you were “ambushed” by the BNP for being white. Twice. It just isn’t credible so any comments that follow, like your Incredible Hulk nonsense, need to be treated with the same contempt that remark deserves. I don’t have enemies as I have explained previously. Going round making up stories is shameful. Making up stories and then calling an ex-Labour voter a fascist because he doesn’t believe your nonsense says more about you than me. Okay, you’re already a bot, or you’re copy/pasting. You most certainly have enemies, your type is hated – rightly – by a lot of people, for their beliefs and the damage they do. You STILL can’t get your head round the fact I’m Jewish, or that I never voted for New Labour, can you. Because not everyone has to be the cardboard cutouts your type like to smack the teeth in of, funnily enough. I don’t lie. You live and breath them, the cloud of self-delusion which all the BNP’ers imbibe. Leon Wolfson – By describing me as ever having anything to do with the BNP is lying. No I simply do not believe you – the story is just too incredible. Bit like the Hulk from one of your previous posts. The fact is your smearing is indicative of Labour under Gordon Brown and so far I have not seen a single criticism of the party in any of your posts. Just the usual hatred diatribe. Now as I have previously stated this article is a serious reflection of a horrific event and unlike you I refuse to spoil it with continuous replies to your deceitful remarks. Grow up Wolfster and stop telling lies… I’m outta here. I’m just wondering what evidence there is that Breivik was a”madman”. We have insufficient evidence upon which to base such an assumption. One can be a fanatic, mistaken or just evil, and still be perfectly sane. Mouse – Oh really? It wasn’t hard to find the link. Unless you want to claim they’re ANOTHER similar bunch, which is technically possible. EDL, perhaps? And yes, I know, nobody can use sarcasm or humour around you without you going into a froth about how they’re liars and have to be bricked in the face for the good of society. Got it. No, the sarcasm continues. You brought your enemy list here. YOU are fully responsible for attempting to divert the discussion from your kind of ideology. It’s amazing the lengths you’ll go to in copy/pasting to do that, without bothering to read anyone else’s posts except to find points to say they’re lying on. I’m actually to the left, and thus have little in common with New Labour. But I’m not sure from how far to the right you are there IS much difference, true.